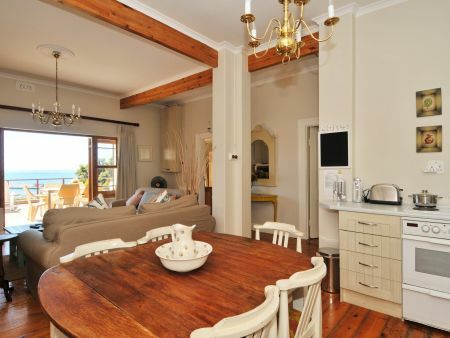 Perfectly located in the historic and intriguing Simon's Town up against the mountain slopes, making it the ideal destination to experience the tranquil and beautiful environment surrounding Simon's Town. 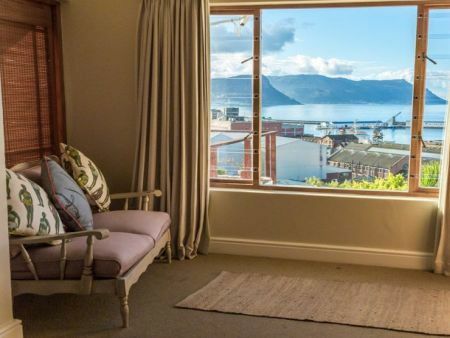 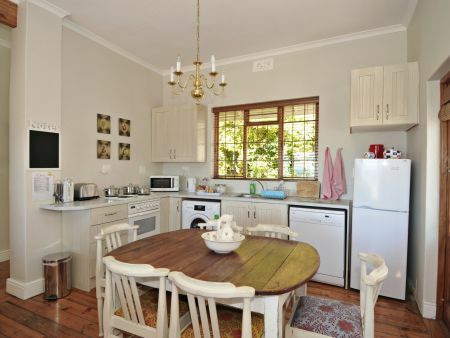 This quaint and elegantly decorated cottage with a touch of Victorian charm has an open plan lounge and dining area complete with a fully equipped kitchen and large sundeck offering panoramic views of the bay. 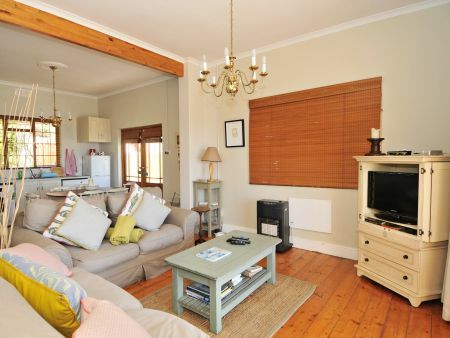 The cottage can accommodate four guests in two separate en-suite bedrooms. 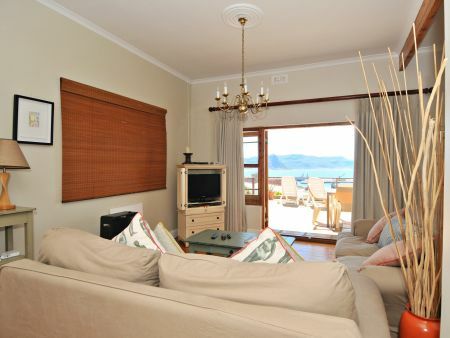 The main bedroom has a queen size bed, a sitting area and an en-suite bathroom with shower. 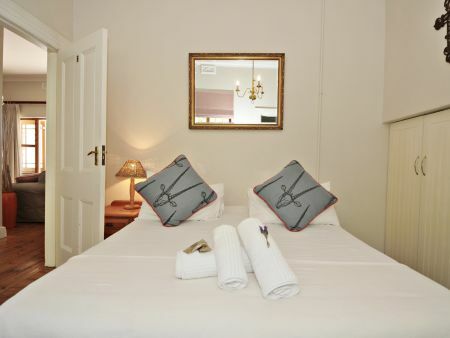 The second bedroom has a double bed and an en-suite bathroom with bath. 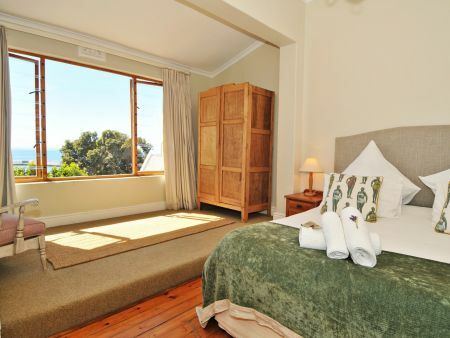 Room amenities include high quality percale linen, tea and coffee tray, fan, heater and extra blankets and pillows. 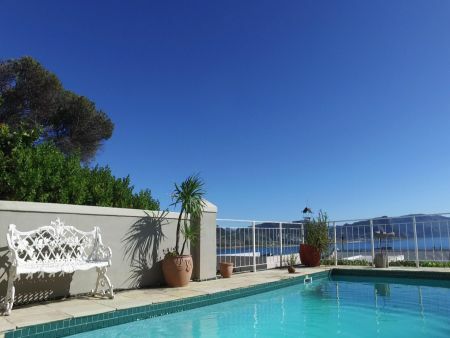 Just next door guests have access to The Grosvenor Guest House outdoor swimming pool and can enjoy a delicious home-style breakfast (on request) served on the deck overlooking False Bay.